MAC is synonymous with color, artistry and creativity, but amidst their countless products, nail polish was never really a brand focus until now! With around 50 new collections a year (almost a new collection every week! ), nail polish has often popped up as part of the limited edition products, but the permanent collection has only consisted of eight shades. Considering nails are the fastest growing category in prestige makeup, MAC has expanded its nail range to 31 permanent shades hitting store counters this summer. In celebration of MAC's latest expansion, I was offered a MAC manicure featuring the new nail lacquers or a gel manicure using Calgel technology colored with MAC Pigments. 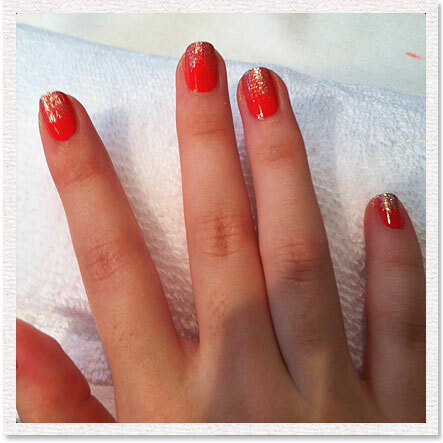 I opted for a glitter tip manicure featuring MAC Nail Lacquers in Impassioned, a bright warm pink, Screaming Bright, a metallic gold, and MAC Pigment in 3D Gold, holographic gold glitter. Here's how to get this summer ready look! 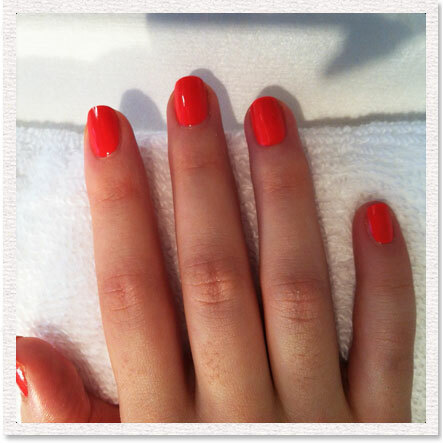 After applying a base coat, apply two coats of MAC Nail Lacquer in Impassioned. For a little extra sparkle, I opted to enhance the metallic gradient with a touch of MAC Pigment in 3D Gold, which has an amazing holographic quality to it. 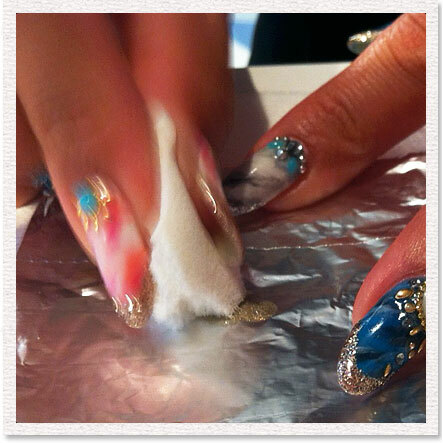 Pour a little bit of pigment onto a piece of tin foil. 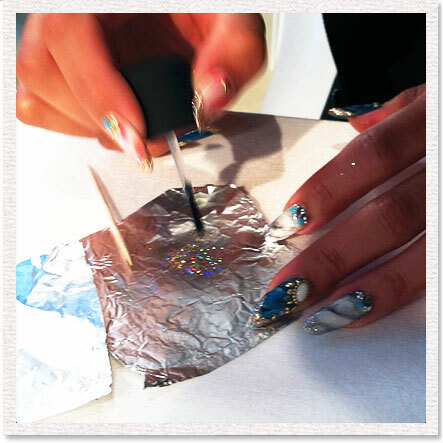 You'll also need to pour a little bit of the MAC Overlacquer, a clear topcoat, on another section of the tin foil so you can re-dip the brush without transferring the glitter into your topcoat bottle. 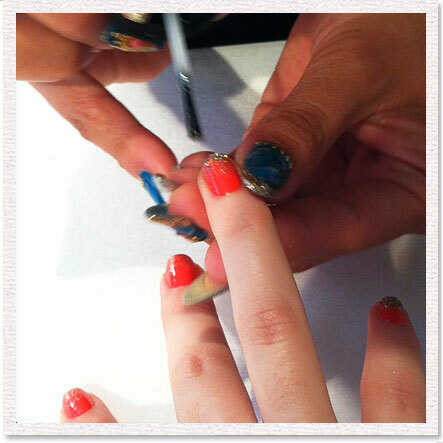 Dab the topcoat brush into the pigment and then dab onto the tip of the nail. 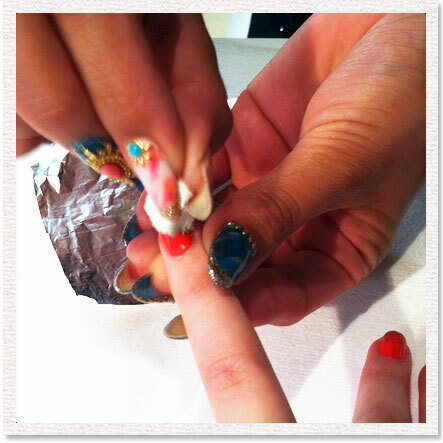 Keep dipping the brush into the drop of clear polish to pick up the pigment and dab onto your tips. 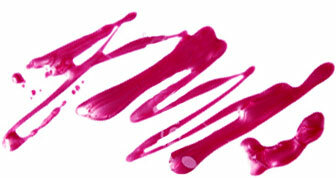 Clean off your topcoat brush using nail polish remover. 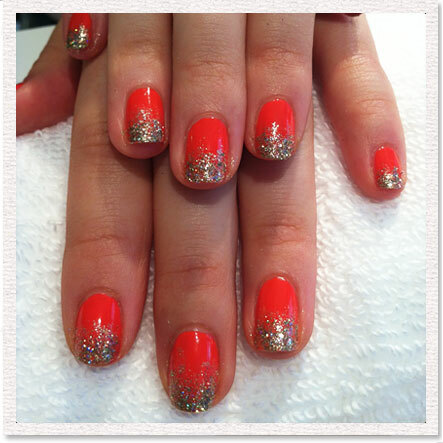 Once all of the glitter is removed, finish off your manicure with a layer of shiny Overlacquer. As for the rest of 29 MAC Nail Lacquer permanent shades, there's everything from bright creamy shades like hot pink Steamy or coral Fiestaware, rich creams like blood red Rougemarie or deep purple Dark Angel. There are also four metallic shades that go from silver to gold and even pink, and a sparkling red glitter, Sparks On Screen. The collection hits Nordstrom counters and MAC stores in July, and will be in all MAC locations by August. 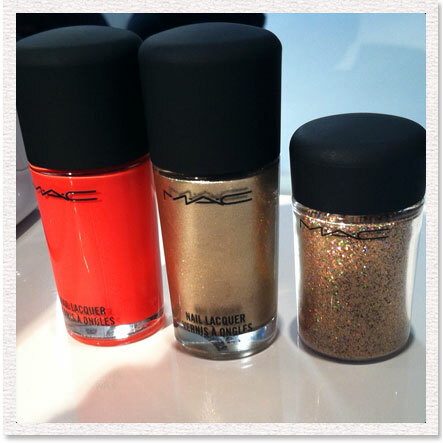 Do you think it's about time MAC expanded it's permanent Nail Lacquer collection? Leave your thoughts in the comments!